First, we went to Courthouse Donuts. The owners worked hard to come up with the perfect flavors and textures to keep coming back. They even consulted the culinary school at Walters State Community College for help. And what they came up with is hundreds of great flavor combinations to keep you trying something new every time you visit. You can even design your own from all of the toppings they have. I tried the Key Lime Pie Donut and it was, not only fabulous, but actually tastes like Key Lime Pie. Yum. Many people visit the nearby area of Pigeon Forge to see Dollywood. But, if you were not already aware, Dolly Parton is from Sevierville so there is much to see in Sevier County about the songstress as well. The Dolly Parton statue, created by local artist Jim Gray was dedicated in 1987. You can find it on the lawn of the Sevier County Courthouse. Parton claimed this as her proudest moment so any true fan needs to make this a must see. 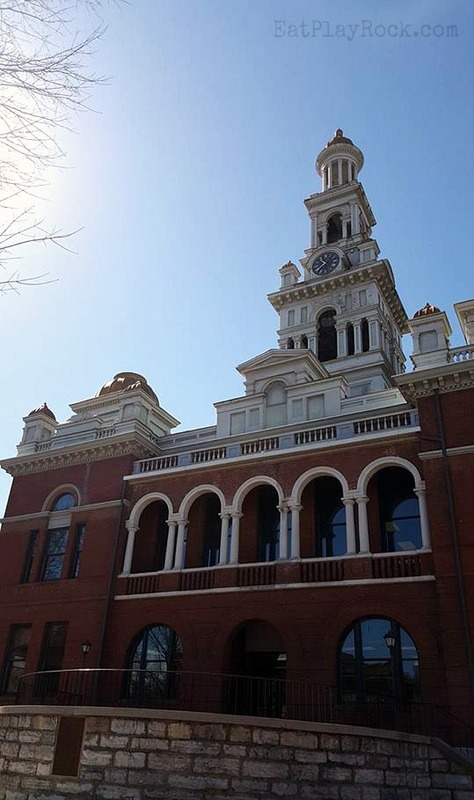 The Sevier County Courthouse was built in 1896 and is listed in the National Register of Historic Places. It is a beautiful example of Victorian architecture so all of you that love vintage style buildings will love this. 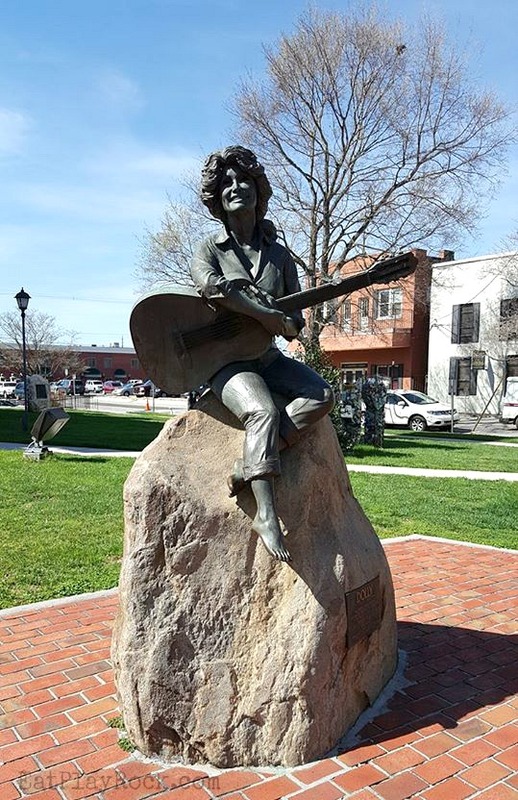 The Dolly Parton statue is located right on the lawn of the courthouse and just minutes from Courthouse Donuts, so it’s easy to see it all in just a short walk. 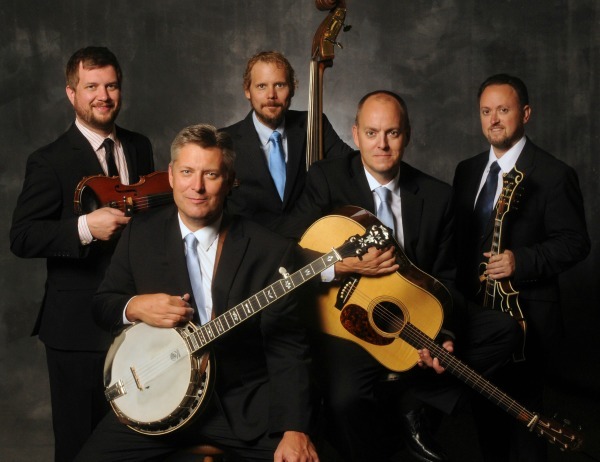 The Bloomin’ BBQ & Bluegrass Festival is a yearly event that takes place this year on May 20th and 21st. Here you can taste championship BBQ while listening to awesome Bluegrass music. Headlining this year are the Gibson Brothers. 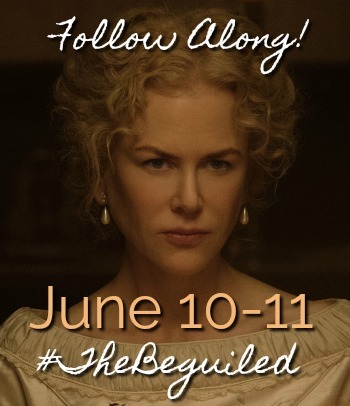 And guess what: admission is free! See the rest of my pictures from this trip on Flickr. 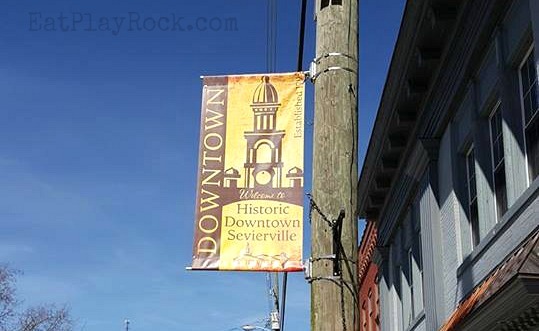 Have You Ever Been To Downtown Sevierville? Do You Have Anything To Add To Our List? I have never been anywhere in TN. I would love to get down there someday! I’ve been to chatanooga before and loved it. I’ll be sure to check out these sites if I’m ever in TN again. I love those salt and pepper shakers. They are a need for my table. This is part of the country I have never seen, would love to check it out! I’ve never been to Tennessee but it’s one of the places that I would love to visit one day. With this list I’ll at least have a few things to do. 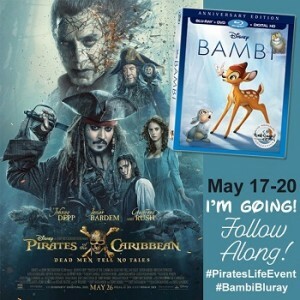 I have never been to TN but would love to go someday… thsnks for the info! For the coffee and food alone, I would totally go there and have visit. It looks so quaint. We are just a few hours from here. 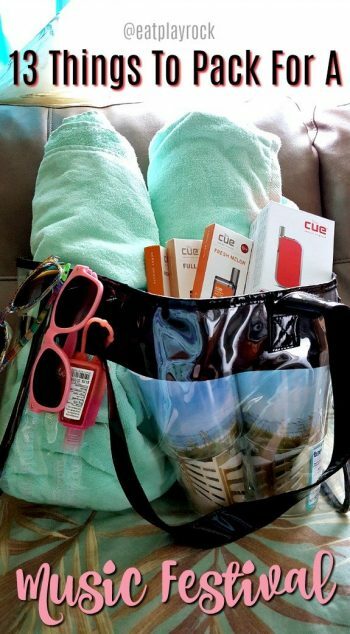 I need to make a trip – so many great spots to visit! I haven’t been there but it would be interesting to see where Dolly Parton is from. Thanks for making me aware of this place. I have not been to Tennessee I would love to take a short try heard there is good food in TN. I love the smokey mountains. There are so many adorable towns to check out. It looks like a great place to visit. Those salt and pepper shakers are too cute! This is the perfect place to drown yourself in culture! I love the cafe! The salt and pepper shakers are just so adorable. I would book a ticket for the doughnuts alone! Man those looks so tasty! So much things to do there! I want to go there. Thanks for sharing! Tennessee looks like an amazing place to visit. Your post and photos are so inspiring! I’d like to go there one day! You had me at – key lime doughnut. Holy yum! What a fun place to visit. The next time we’re in TN, we’ll be sure to check it out. I’d love a good slice of key lime pie. That bluegrass festival is enough to bring me in. I get such a kick out of that music! Oh, the donut is calling me as well. Looks like a fun time! I’ve got to get my hands on a Courthouse Donut! You had me hooked with the key lime donut. These seem awesome to things to do. Especially seeing the Dolly Parton statue! I have never been so I don’t have anything to add to your list. I think you have some great ideas listed. I haven’t been, but from this post, I’d love to visit and see all these places and have the experiences! I’ve never been to Tennessee but it’s one of the places that I would like to visit one day. Thank you for the list! how nice…looks like a pretty laid back place to visit! Oh, that’s donut! Thanks for sharing! I have been to TN but never this part! I would love to go. PS those salt and pepper shakers are ridiculous on the cute factor. I have never been to this part of Tennesse!! Looks like a fun place to explore the donut looks amazing! I’ve been wanting to visit Sevierville, Tennessee ever since receiving a Sevierville travel guide in the mail a couple years ago. Maybe this summer! Tennessee is on my travel bucket list. And that key lime pie donut looks amazing! Looks like a fun place to visit. We go to Tennessee quite often. There is just so much to see there.